Companies spend lots of time trying to understand the best ways to increase efficiency in their operations. How do I increase pick rates? Why do we spend more time on things that add no value than we should? Why do we make so many mistakes, and how do I stop it? Why is there so much waste in the system? How can this be better organized? These are all good questions, and the answer to solving these problems usually lies in developing people to work their best. In this day and age of increasing industrial productivity, tough global competition, and tight labor, integrating personnel development with best practices facility design, automation, processes and management is key to reducing labor costs, increasing margins, and becoming a more profitable operation. People thrive in good environments where they are set up to succeed. What can you do to build the right situation for your people? Build your people to build productivity. People respond when other people believe in them, so it’s important that you impart your faith by having specific worker development programs. By developing people as a priority, you are speaking with actions, not words. Train broadly, cross train, and retrain. This is highly dependent on your needs and operation, but it’s recommended that you go broad rather than narrow. 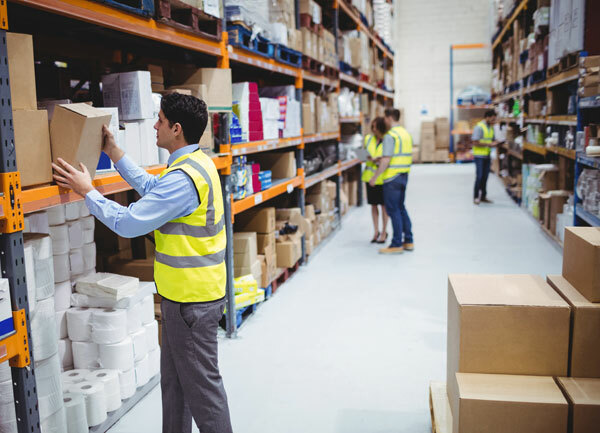 That means your order pickers should receive cross-training in other areas, and that forklift drivers are capable of operating in any area of the facility. Train to 5S or Kaizen if that’s how you operate. If you have specialized sorters or cranes, If your people are expected to do minor office work, train them in office applications. Let natural leaders emerge, thrive and advance. Start with your most productive people and teams. Learn from them and then try to spread their techniques to others. These organically generated common practices and processes can be the life’s blood of a good operation. Let those individuals take the lead in training and improving others — they have more credibility than management with their fellow workers. You can create training modules, process maps, manuals and other documentation based on their findings. Not only does this improve your operation, it inspires people to get involved. Cross-train workers for flexibility. A worker who has the flexibility to fill into other areas can be incredibly valuable in a pinch. You’ll be able to flex your people and shifts for maximum value, but that isn’t all: the workers appreciate it as well. It creates advancement paths, offers extra work, and increases variety in their work. If you make it a reward, they will embrace it. Safety is the first step: Everyone should have, at the minimum, OSHA 10 certifications. Many should be OSHA 30 certified, depending on the task and operation. Most should have CPR and First Aid training. Beyond that, provide equipment that makes people safer. Don’t leave obvious safety concerns like dangerous forklift aisles, potential fall hazards, wet floors, or missing machine guards undressed. Also, remember to modify your programs for changes in the operation. A new conveyor line or other production machinery means new safety protocols that everyone in the vicinity must learn. Always be improving. It’s easy to get busy and forget that people are creatures of habit. Look at how they are working and find better ways to do that work. Process improvement goes right along with employee development, so finding better ways to do things will help your workers realize their potential. The best part is, once you have started, they will drive the process of squeezing out extra productivity for you. When people are developed and trained for success, they respond. Finding ways to develop your entire operation, from the technology you use to pick orders to the training you provide to order pickers, will help you thrive and grow.